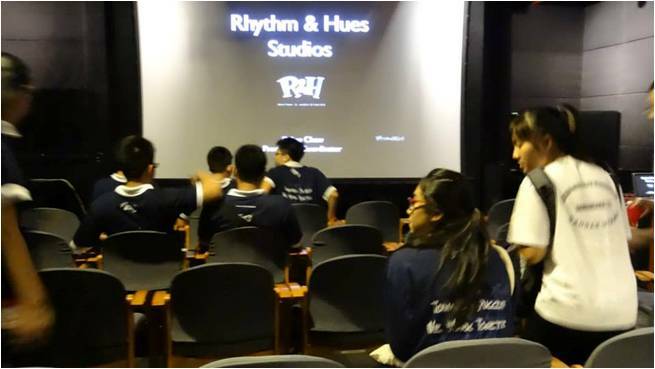 On the 12th of June 2013, the Librarians had a field trip to Rhythm & Hues Studios. It was a sunny morning on that day. What a perfect day for a trip! At 12.00 p.m., we gathered at the Library. Later, we went down to the school canteen to fill up our hungry stomach before leaving for the studio. 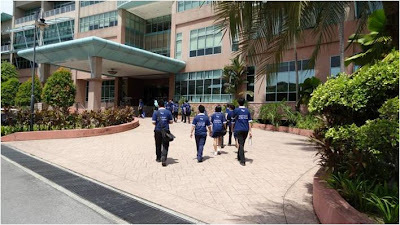 There were 39 Librarians and 3 accompanying teachers that went for the field trip. At 12.30p.m., we started our journey to Rhythm & Hues Studios. We reached Rhythm & Hues Studios at 1.30p.m. We were all very excited about the field trip. 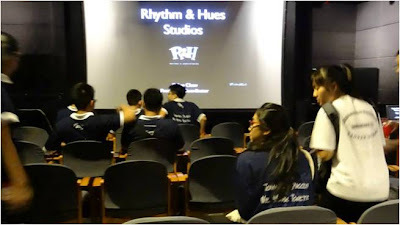 I didn’t know what Rhythm & Hues Studios was before I went to this trip. As I found out later, Rhythm & Hues is actually a post-production studio. When we first step in the studio, I felt like I was in a Japanese restaurant. A employee from Rhythm & Hues Studios named Celine introduce the studio to us. She also played a short video to show us the process of animation in a film. The short video was amazing. 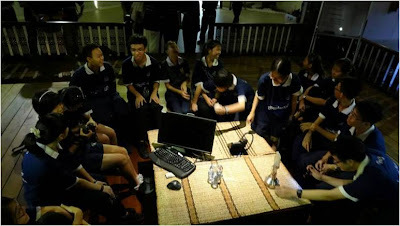 After watching the short video, we started to ask questions about the studio and what do animators do. Later, another employee named Gretel came and showed us around the studio, alongside Celine. We saw many things in the studio during the tour. The studio was almost empty as Rhythm & Hues Studios had just finished two big projects. Hence, most of the employees went on holiday. They showed us the employees' work space and also the facilities of the studio that helps with the animation process. There is also a room for the employees to relax and play. After the tour around the studio, we gathered at the studio’s canteen where we had some snacks. We learnt more about the studio while having some snacks at the canteen. We also joked around with Celine and Gretel that guided us around the studios. Our Assistant Head Librarian [a.k.a. Library Joker], Quek Zuoo Yuon made Gretel laugh by telling her some hilarious pick-up lines. 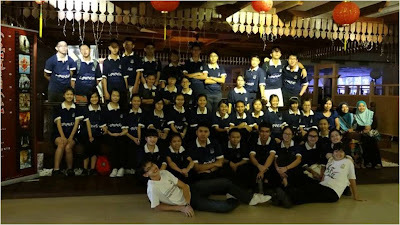 After all that, we took a group photo at the entrance of the studio before we left. It was a great experience for all of us as we got to see what happens 'behind the scenes'; how a movie actually looks like before the animation and rendering processes. I enjoyed the trip and hope that we could visit more places like this next time. Boo! : It's the Haunted Library! Haze + Monday = No School! 16 May 2013: Look What Was on the Television!